So last week I said my thank you’s and goodbye’s for my design team gig at Merry Monday. I have something to tell you – I jumped the gun on my exit from the design team. I’m staying on until the end of October!!! Thanks for keeping me Lesley! 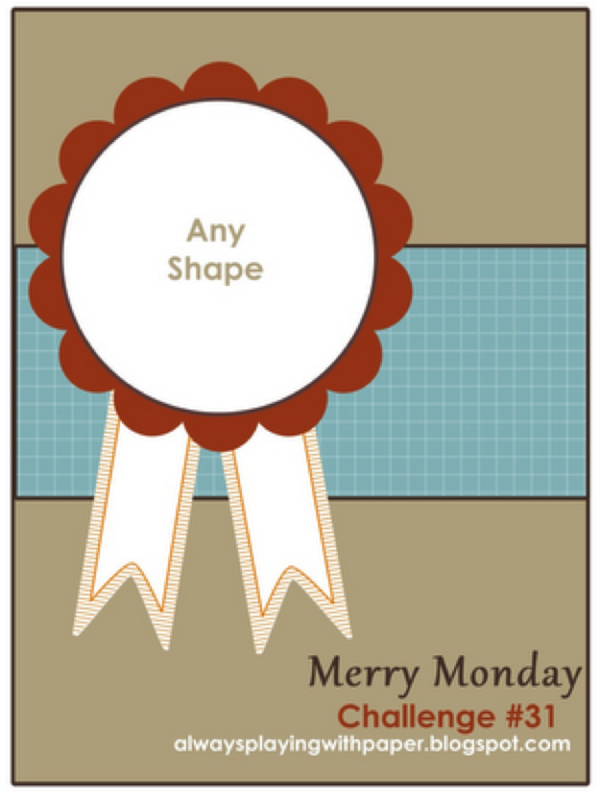 I hope you can join us this week at Merry Monday – click here to take you to the challenge and check out the gorgeous cards the Design Team have created. Very pretty card! I love how you used the legs of the bow to follow the sketch. I love that ribbon, and the hardware. This is so gorgeous! Love the colour combo and embossing! Fantastic as always Narelle! Love the double bow…wow! Beautiful card,so classy you put the layering together so well.Love the Bow !! That’s one gorgeous bow, Narelle! I agree with Judy, very classy! Yeah, you are staying :). Your card is wonderful, I love your gorgeous bow and the paper is beautiful. What an incredibly stunning card! 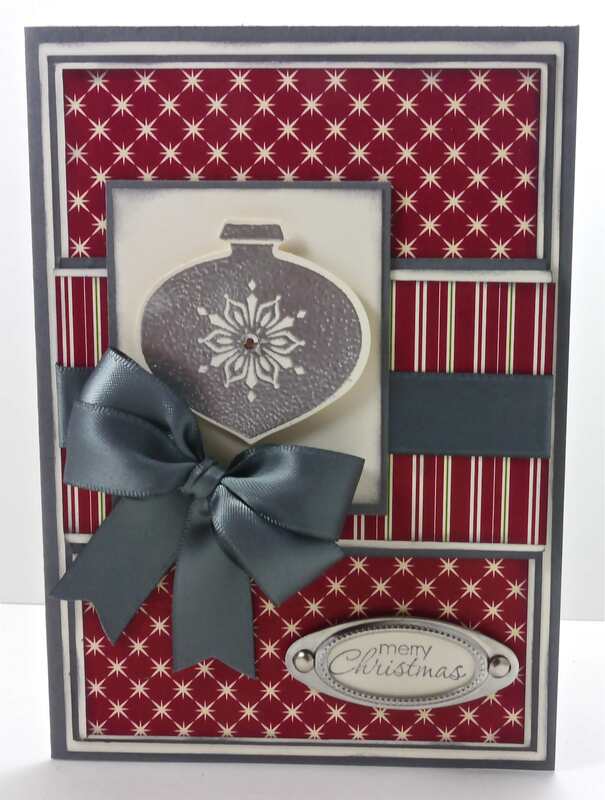 I LOVE the silver, red, & gray color combo, and the dsp you chose is awesome! Thanks for inspiring me to get that hardware out and use some after seeing this card! WOW! The red/gray combo is gorgeous!!! I love your big bow! !